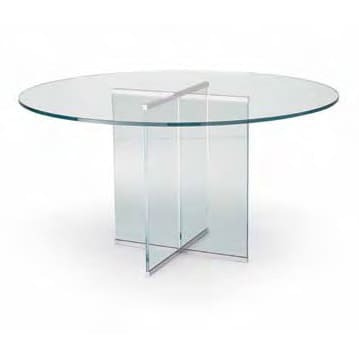 Dining table with transparent glass top. Chromed brass metal parts. 15 mm tempered glass base. The Eros tables are rectangular, round and oval available. creates an unmistakeable harmony in glass and metal, thus producing unique objects. Do you have a question about "Eros"? How can we contact you?